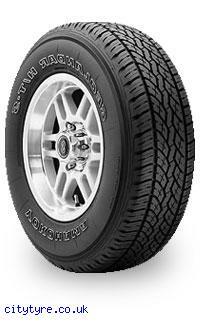 The GEOLANDAR H/T-S is a premium grade SUV tyre that sets new standards for on-road driving. No matter whether you are driving in the city or powering down the motorway, this SUV tyre is just what you've always promised yourself. Designed to provide outstanding handling, superior comfort and long mileage, the GEOLANDER H/T-S offers you the enjoyment and safety that you thought might never come.